Increasing use of recycled textile fibers. The initiative, which comprises 64 companies representing 7.5 percent of the global apparel market, presents a shared vision for the future of the apparel industry in which garments and footwear are “designed, collected, reused and recycled for their maximized use.” This work falls squarely in line with VF’s global commitments outlined in our Made for Change sustainability strategy. 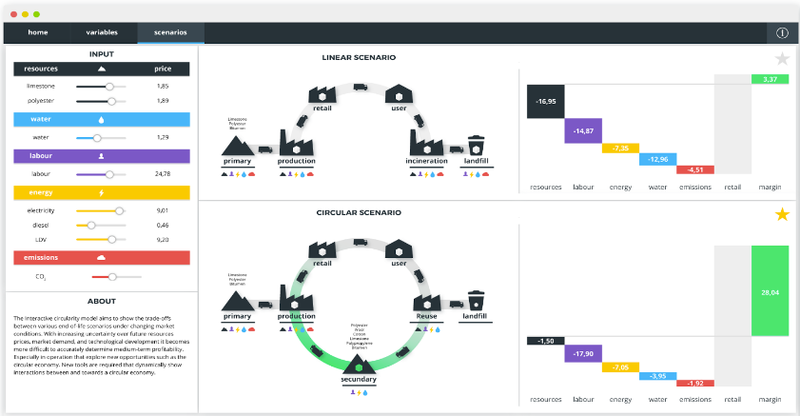 Circular Business Models are a key pillar of this strategy, which calls for reducing the amount of raw materials needed to make our products and designing products with longer life-cycles, all while creating new revenue opportunities for our business. VF EMEA and our European-based brands are already working in this field. One example of circular design comes from a capsule collection created by British designer Christopher Ræburn for Eastpak®. The limited edition “REMADE” line of backpacks is crafted from 100 percent re-used and recycled British Military and Border Force uniforms. The line demonstrates the benefits of a sustainable design process while embodying Eastpak’s® outdoor spirit and military heritage. Moreover, in the following months, we will strengthen our takeback programs available through our The North Face® and Timberland® stores. In 2017 alone, we collected more than 4,000 Kgs of clothing and footwear in more than 150 stores throughout Europe. These takeback programs are important to VF’s effort to transform the apparel industry from linear to circular by creating a readily available flow of recyclable and recycled raw materials. Connecting brands with relevant partners to operationalize selected circular opportunities. VF is using its scale to help lead the apparel and footwear industry in the transition from linear to circular. By joining the Global Fashion Agenda’s 2020 Circular Fashion System Commitment and developing the Circle Fashion Tool, we are identifying the best practices that will galvanize more apparel brands to join the circular movement and render our industry more sustainable.